• Direct Axle Technology™ (DAT™) makes Ultralight TCUs the lightest cams in the world! In millimeters and inches, the maximum dimensions of the cam lobes when shut tight and fully extended. Since the "usable" range is so debatable, all manufacturers now list the full dimensions to avoid selling themselves short. For offset cams, we'll list the max dimensions possible and then afterwards list each of lobe dimensions. Beth Rodden shows you how to inspect and maintain your cams. *Pssst, you can subscribe to WeighMyRack's Youtube or Vimeo channels for more gear videos. 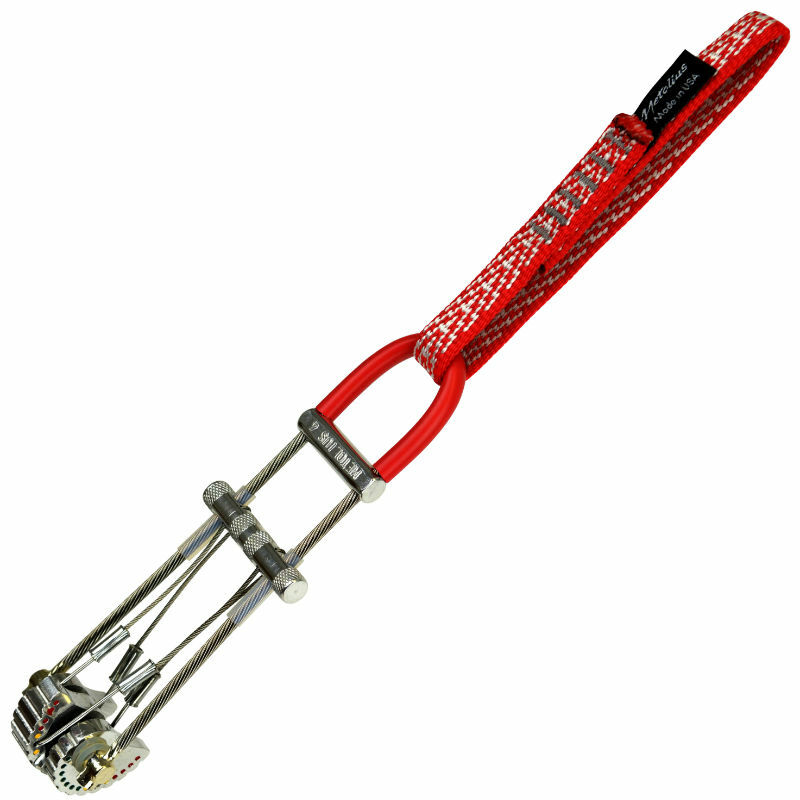 This is best suited for alpine climbs and anywhere with a big approach where every ounce counts. It is ideal in clean-cut cracks you find in alpine granite or splitter cracks in sandstone. It is not as good for flaring pin scars. 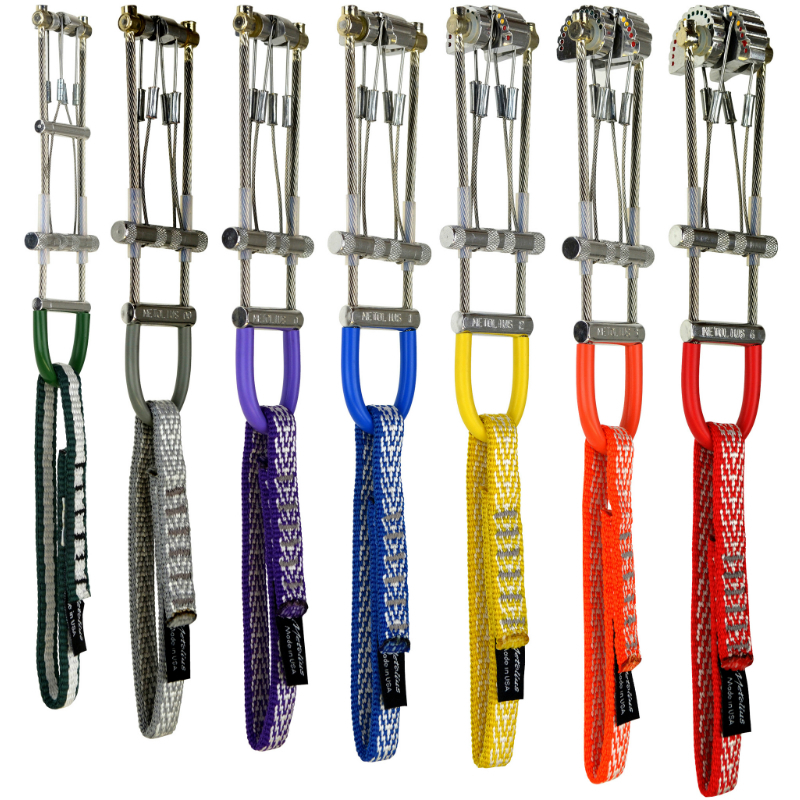 For those placements a single-stem unit like the Metolius Master Cam works better. TCUs have withstood the most important test, however - that of time. They are stable, durable, strong and now, ultralight. If weight is your primary concern (alpine, big wall, etc.) these units are for you. Twenty-five percent adds up when you're racking triple sets for a serious wall. The TCU is also significantly lighter on the wallet - $10 cheaper than the Zero and $20 cheaper than the C3. Summary: Metolius TCUs were some of the first ultra-small cams available to climbers in the mid-1980s and they continue to be a thin-crack staple. On average, Metolius uses a slightly smaller cam angle than other manufacturers, so during a fall the cam lobes push harder against the rock. The compromise with this design is a small loss of camming range. The cams are made with a highly durable aluminum, and the faces are quite wide for added grip. A narrow head width on the micro sizes allows the TCUs and Power Cams to fit tiny pods and pin scars -- we loved the smallest sizes: #00, #0, and #1. All sizes feature cam stops. The drawback of the Metolius cams is a narrow head width in the largest sizes that compromises their stability. Also available from Metolius are Fat Cams. These sport extra thick cam lobes for greater grip -- particularly useful in soft rock like the sandstone of Utah's Canyonlands. Pros: Excellent micro and small sizes; textured trigger bars; cam stops. Cons: No independent cam manipulation; large sizes can be unstable. How to use Metolius Cam, how cam works, lifespan, care and maintenance with instructional pictures. The UIAA equipment standard provides a baseline for equipment performance in a test lab under controlled conditions on new equipment. Although these test conditions are relevant to the conditions encountered climbing, conditions encountered at the crags and the condition of the equipment are equally important. This recommendation from the UIAA member federation The British Mountaineering Council (BMC) provides vital equipment information that is NOT explicitly addressed in the standard, particularly failure modes of the equipment and recommendations for the use, inspection, maintenance, and retirement of equipment. 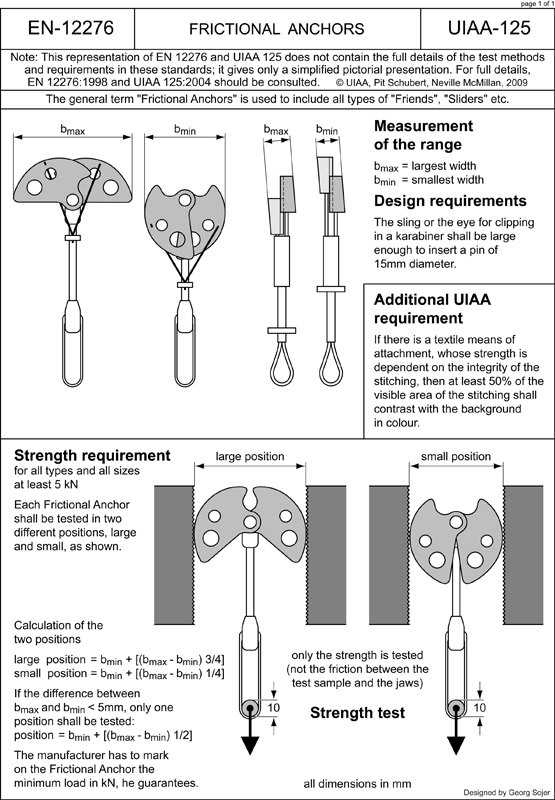 A pictoral representation of the UIAA-125 and EN-12276 standards for frictional anchors (which includes SLCD's [cams] and Ballnuts).